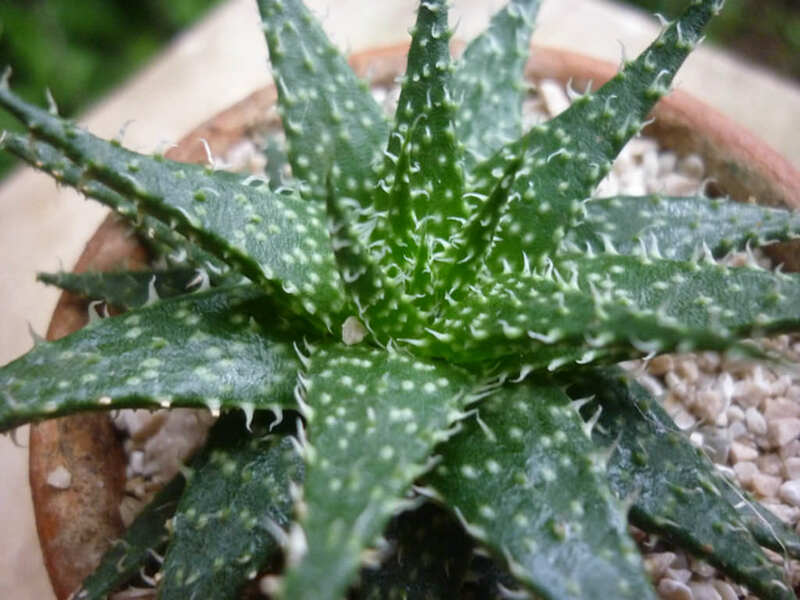 Aloe ‘Pepe’ is a dwarf, rosette-forming hybrid producing individual rosettes up to 2 inches (5 cm) in diameter, with numerous offsets of similar size. 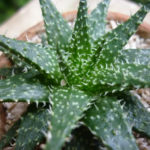 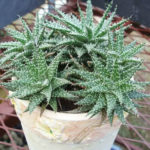 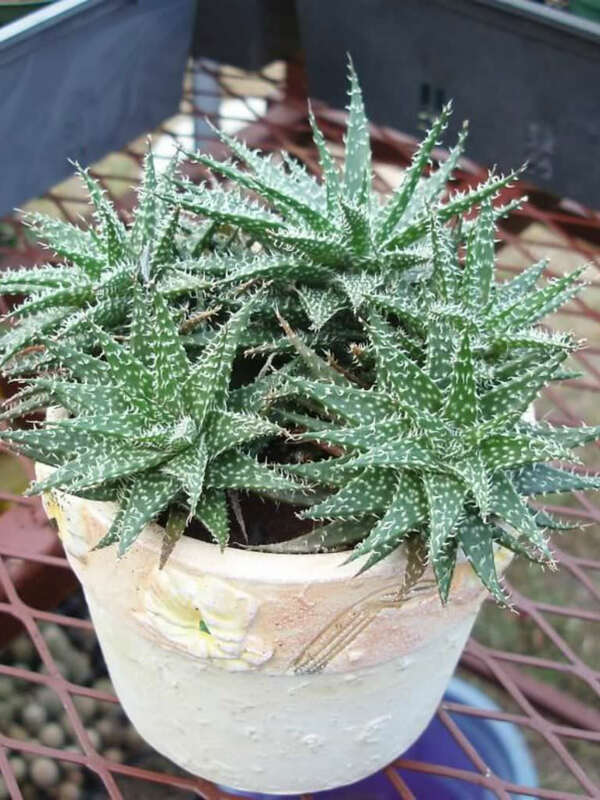 Its dark green leaves are fleshy, triangular and tipped with soft, silvery bristles, giving it a kind of speckled look. 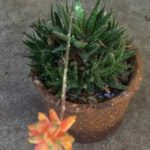 The flower stalk is a up to 1 foot (30 cm) long inflorescence with orange-red flowers. 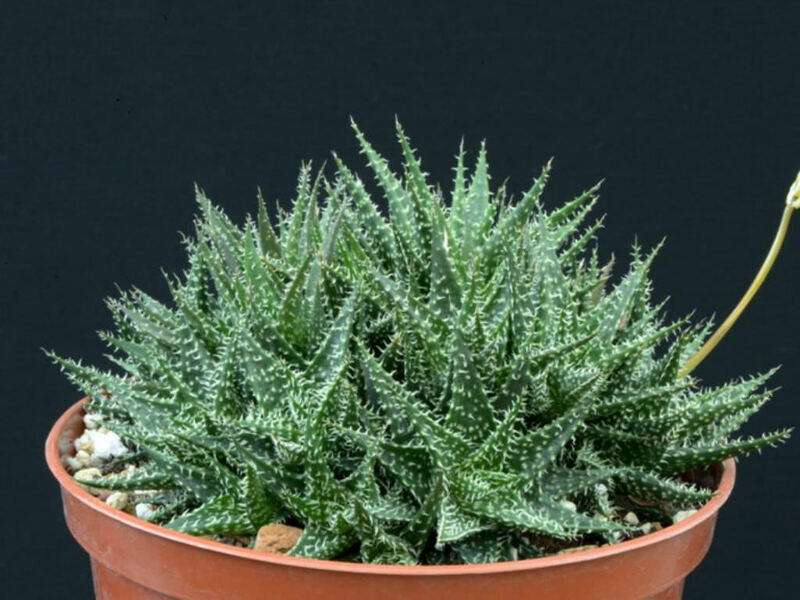 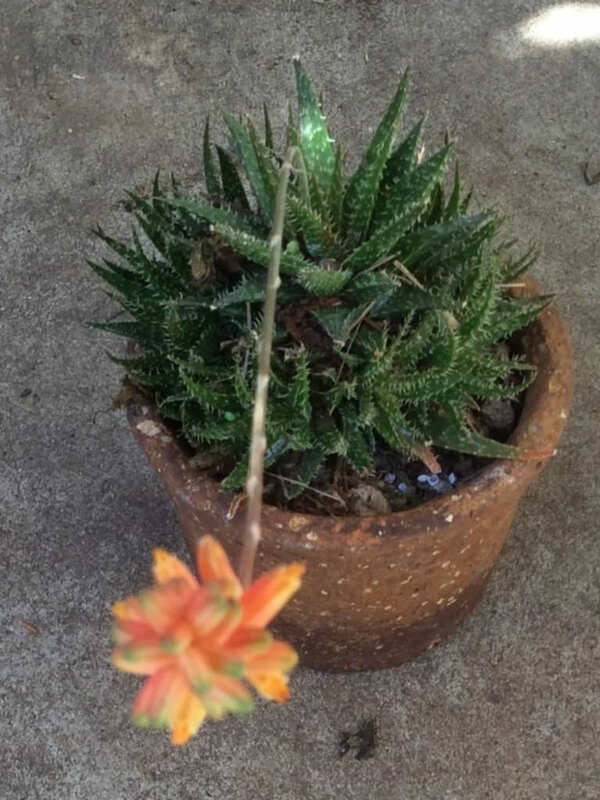 It was developed by John Bleck, crossing two species native to Madagascar, Aloe descoingsii and Aloe haworthioides.